A rant today, so if you’re not into reading rants, please click away. I received this Bella Box yesterday and was so upset with it that I decided that I had to put up a post on it. First of all, they got my mailing address wrong – the order receipt clearly states the office address as delivery address but they sent it to my home. Then, they delivered when I was not around and left the box outside my house without letting me know. I live in a block of flats, so anyone could have just walked past and taken it. I think it was incredibly irresponsible and clearly they have absolutely no customer service. Already pissed, I open the box to realise that the samples were really pathetic. The samples are clearly not “deluxe”. 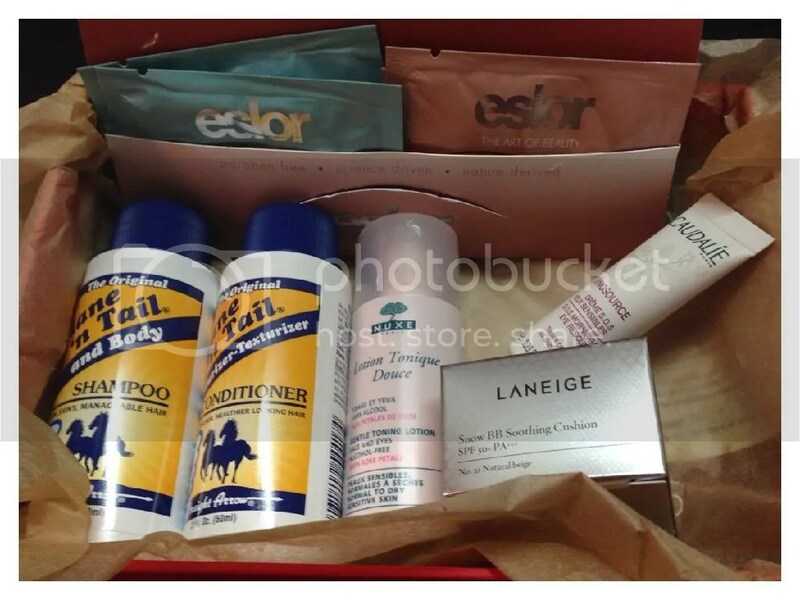 I have seen a few recent “sponsored posts” on Bella Box which was part of the reason I decided to give this service another chance – I used to subscribe and hated it – and now I realised that those “sponsored posts” are rigged, because they have several extra items or full size products that regular subscribers do not get. It’s a lie! Do NOT get tricked by this company. 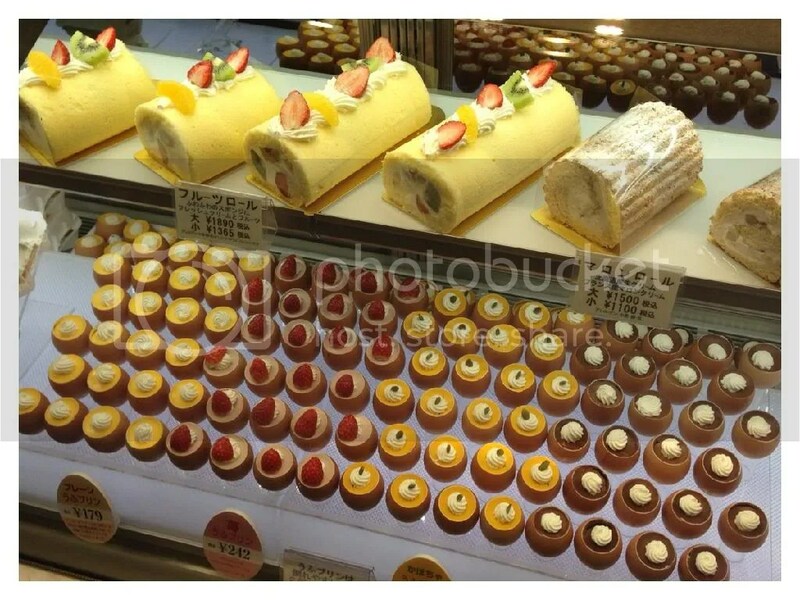 This for S$19.90? Totally not worth it. I was also supposed to receive the CNY GWP upon signing up through a link, but the gift was nowhere to be found. I don’t know if they did not deliver it, or if someone took it from my door step. Either way, I am still a bag of products short. I have since sent in my cancellation for this subscription – hopefully they will process it properly and smoothly as a search for cancellation of this service brought up a lot of complaints on their facebook page that the cancellations were not done or they continued to charge even after cancellation. I strongly recommend that everyone stay far far away from this subscription service. It’s totally not worth it, the service is horrendous and utterly irresponsible, and I am extremely pissed. STAY AWAY FROM THIS BOX!!! MAC Me Over #1: New Lipstick Love with Back to MAC! I wanted to start a little series of posts that is just focusing on MAC cosmetics, not really reviews but more of short posts highlighting some of products because I use and love a lot of MAC products, and I have more than enough to run an entire series on them! First up in this series is a really quick post – I wanted to show what I’ve exchanged for during my recent Back to MAC trip. 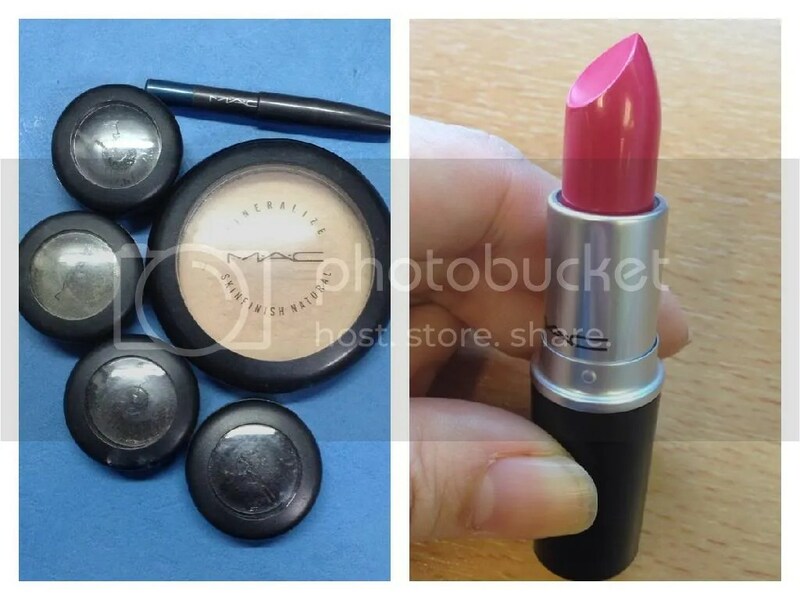 For those who are not familiar with Back to MAC, basically it’s a recycling program by MAC where you can bring back 6 regular products’ empty containers in exchange for a brand new lipstick. I’ve heard that you can exchange for something else in some US states, but in Singapore, I’ve only been able to swap for lipsticks. What I’ve received – a MAC Cremesheen Lipstick in Speak Louder. I’ve only ever tried MAC’s Lustre and Satin formulas before, and now I’m not sure why I haven’t ventured into the Cremesheen section because I really like this formula! 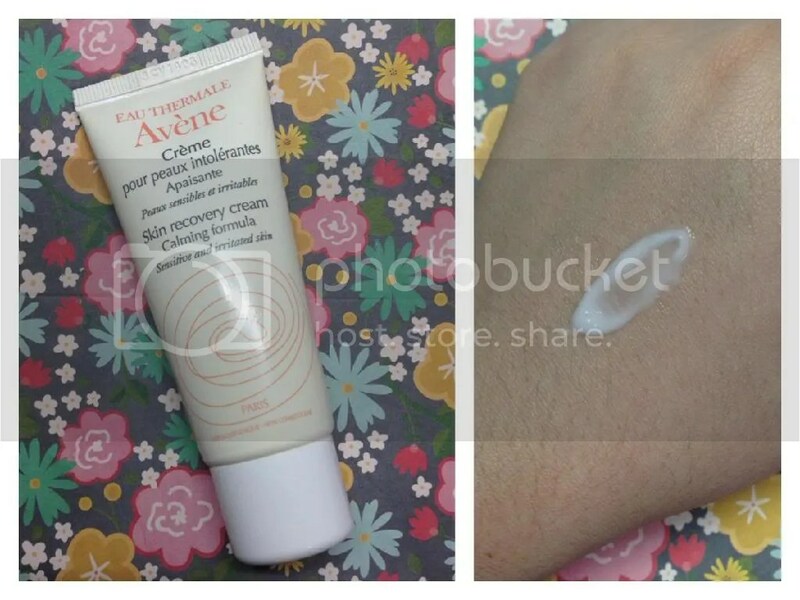 It glides on smoothly and the colour is a lot more pigmented and stays on longer than the Lustre line. Speak Louder is a really bright pink-red lipstick that really brightens up the face – I’m really loving it! 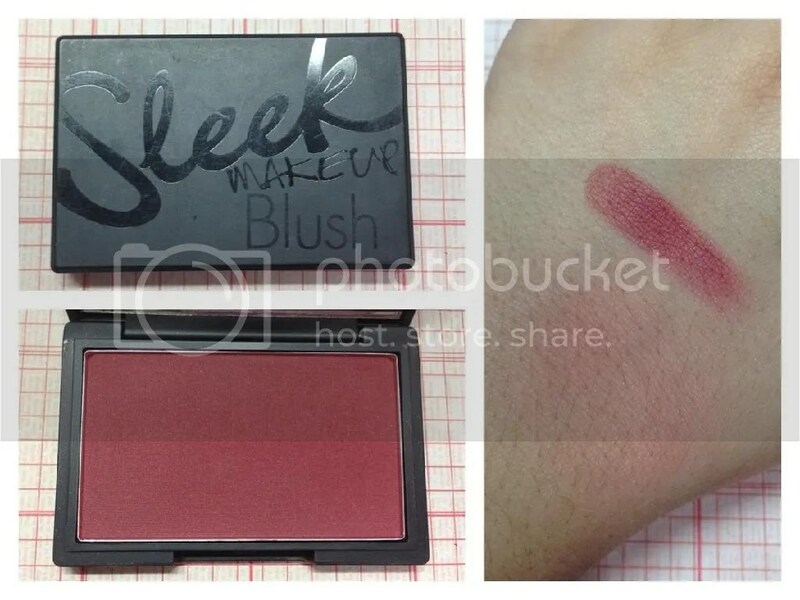 Sleek’s Life’s a Peach is the second blush that I picked up from the brand after hearing so much about their blushes. I bought this online for US$5.99 before shipping for 8gms of product. The packaging is the same as the blush in Flushed that I’ve just reviewed – very simple with no useless applicators, and comes with a good size mirror. This is also very hard to open though with an extremely tight clasp. Life’s a Peach is like its name, a peachy shade with matte finish. It looks pure orange in the pan, but comes off more peachy. This is not as pigmented as Flushed so it’s easier to apply and a lot easier to blend. In terms of texture, I find this quite dry and chalky, even more so than Flushed, so application is not as smooth and can look powdery on if I applied too much. The lasting power is also not as great – I’m not sure if it’s because of its lighter pigmentation, but it’s totally gone by mid day. 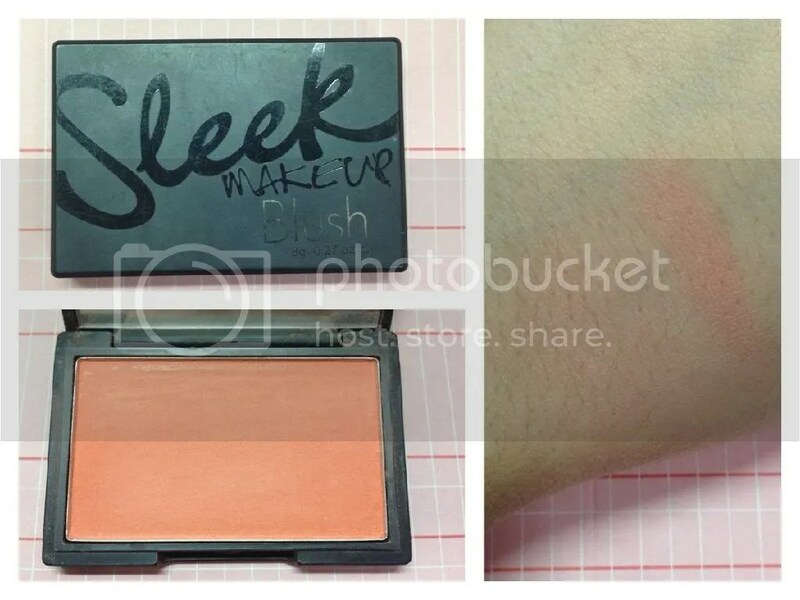 Between the 2 Sleek blushes I own, I think the quality for Life’s a Peach is not really there. I’m not sure if I got a bad batch or what because it doesn’t seem to quite live up to all the raves it has received. Disappointed. Sleek’s blushes are pretty popular with the online community; I’ve seen lots and lots of reviews on blogs and youtube raving about these blushes, so I had to pick some up for myself! One of the first ones that I tried is Flushed. The packaging is very simple and, dare I say it, sleek. There are no useless applicators, or wasted space; the entire plastic packaging is filled with the product, with a good size mirror. It is very hard to open though; the clasp is extremely tight, so don’t attempt it with freshly manicured fingers. Flushed is a deep berry red. This is a very pigmented shade, and it doesn’t blend very well once it’s on the face, so some care is needed in application; I have to use a very light touch and tap off the brush to get rid of any excess powder before swiping on my cheeks. In terms of texture, I find it slightly on the dry side so application is not as smooth, and looks a bit powdery on. This lasts a really long time on me, well past the 8 hour mark. I like it and I enjoy the ‘flushed’ look it gives me, but I’m not as wow-ed by it in terms of texture and ease of application as what I had expected after all that hype. The pigmentation is great and lasting power is awesome, but it has its flaws and isn’t exactly all that is hyped out to be. I bought mine online for US$5.99 before shipping for 8gms of product. It’s my birthday and I wanted to leave myself a message for the year, something to remember, and something to work towards. I hope that I will stumble back on this page a few years back, to see if I have done what I wanted to do, and if not, act as a reminder of what I have not yet done. I need to stop bitching about things that I don’t have, and work harder to get them. I need to be happier, and not be irritated or frustrated by so many unimportant and insignificant things. I need to learn to let things go. I need to stop using shopping as an outlet for all my problems in life. I must learn to fight for what I want and devote more time for those I love. I must not be helpless in the face of unfairness with only pouting and sulking as a tool to fight back. I must be independent and be a woman of strength, capable of standing up for myself and to my future husband. I will not let my children, if I have any, rule my life or fear them; and even more so, I will not let my future husband allow that to happen. I love my mom and dad, but I don’t think it’s right for the husband to take the side of the children when they’re clearly in the wrong, and even more wrong for the husband to allow the kids to think that it’s ok to not respect their parents. I will not serve because society expects me to, and I will talk back with pride if I have to. I will dance in the rain. I will read more, understand better, and enjoy life as it is. Another year older, another lesson to learn. A really quick and small haul post – I wanted to put this post up quickly in case anyone in Singapore is interested in grabbing this as well. I was shopping in Kinokuniya bookstore on Saturday when I saw that Cosmopolitan magazine was giving out sets of Skinfood skincare freebies with purchase of the magazine. Being me, I pounced on it. The bf was so shocked when I walked out of a bookstore with a handful of skincare products! I received a total of 4 gift sets with an emulsion and a toner in each – 2 sets of Watery Berry, 1 set of Fresh Apple Sparkling Pore, and 1 set of Goldkiwi. I had to claim 1 of the sets (the extra Watery Berry set) personally from a Skinfood store with a free voucher included in the magazine. If you live in Singapore, I believe the deal is still ongoing so grab yours quick! I think it’s a Kinokuniya bookstore exclusive. They’re really small gift sets, but it’s a good variety and I like reading Cosmopolitan anyway so the gifts are just extra perks!